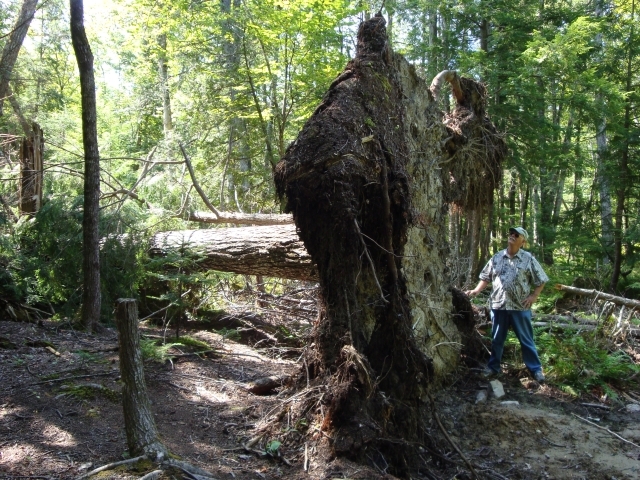 The huge fallen tree in the photo here shows the true power of nature, and finds like this as a kid Growin’ up in Maine were something you don’t forget. Other examples of nature’s power viewed on occasion were similar sized trees split down the middle by lightning. That was never witnessed as a child, but was as an adult. There’s better reasons to avoid getting wet and running inside when a thunderstorm comes through. More than anything, this photo reminds me of the joy of exploring the woods and enjoying the natural beauty.